A team of researchers from the University of Wollongong and the University of New South Wales has found that some wild animals undergo internal physical changes when bred in captivity. 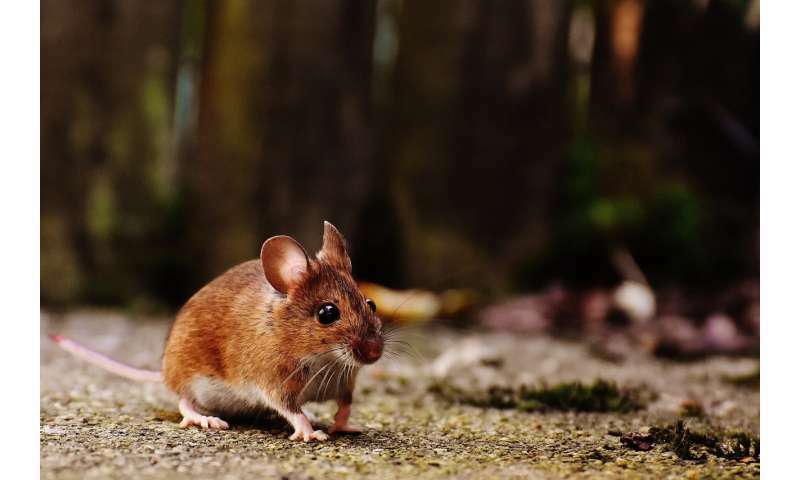 In their paper published in the journal Royal Society Open Science, the group describes experiments they conducted on captive mice and what they found. As scientists and animal management teams seek to save dying species from extinction, they often look for ways to save them. In addition to restoring natural habitats, some have taken to capturing specimens in the wild in the hopes of breeding them in captivity. The offspring (or generations of offspring) are then released back into the wild. For a variety of reasons, such efforts are not always successful. One of those, the researchers with this new effort have found, is there might be morphological changes that impede ability to survive. The researchers note that few studies have been done surrounding the morphological impact on wild animals bred in captivity. Also, relatively unknown is the impact that captivity has on animals after multiple generations have been bred. To learn more about how captivity might impact wild animals, the researchers compared the internal and external morphology of wild and captive house mice. They report that after just one generation, the mice showed no visible external changes. They also report that sexual dimorphism was maintained. But, they did find an internal change. The captive mice had lighter combined kidney and spleen masses. The change, the team notes, was not due to a difference in diet, but to the conditions under which the mice lived. Easy meals, they note, put less demand on those organs. Nature responded by making them smaller. The team notes that shrinking organs or other internal morphological changes could make it difficult for animals to survive once they are released into the wild. That would make the whole endeavor moot. The researchers note that theirs was just a single case, but believe that their findings are revealing. They suggest that it is likely that other wild animals bred in captivity could have the same or other changes. This means that many more studies are required before breeding programs are instituted. Captive breeding programmes are increasingly relied upon for threatened species management. Changes in morphology can occur in captivity, often with unknown consequences for reintroductions. Few studies have examined the morphological changes that occur in captive animals compared with wild animals. Further, the effect of multiple generations being maintained in captivity, and the potential effects of captivity on sexual dimorphism remain poorly understood. We compared external and internal morphology of captive and wild animals using house mouse (Mus musculus) as a model species. In addition, we looked at morphology across two captive generations, and compared morphology between sexes. We found no statistically significant differences in external morphology, but after one generation in captivity there was evidence for a shift in the internal morphology of captive-reared mice; captive-reared mice (two generations bred) had lighter combined kidney and spleen masses compared with wild-caught mice. Sexual dimorphism was maintained in captivity. Our findings demonstrate that captive breeding can alter internal morphology. Given that these morphological changes may impact organismal functioning and viability following release, further investigation is warranted. If the morphological change is shown to be maladaptive, these changes would have significant implications for captive-source populations that are used for reintroduction, including reduced survivorship.